At the end of July, the family made tamales together. We made dozens, froze several, and continue to enjoy them. Coming from New Mexico, you would think I might have done this before. Well, this was my first time, and my aunt who lives in Phoenix who made tamales every year forever was happy I finally got around to it. 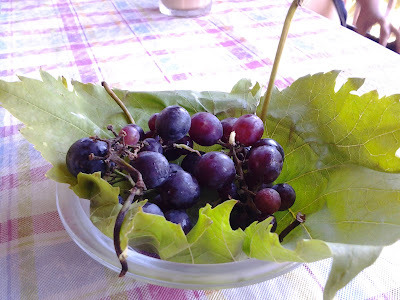 I am working on a post presently that will show the process from husks to steamer, to plate. 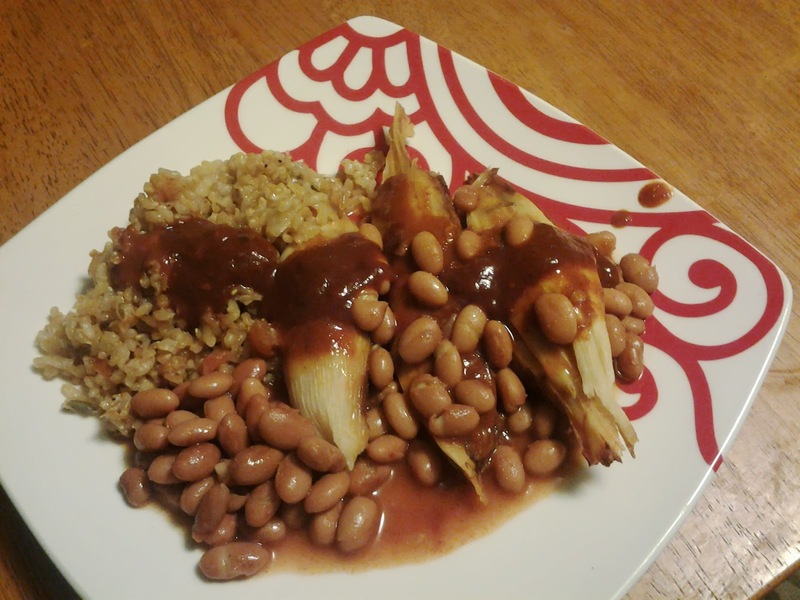 Tamales are served best with pinto beans, and spanish rice topped with red chile and pork mole. 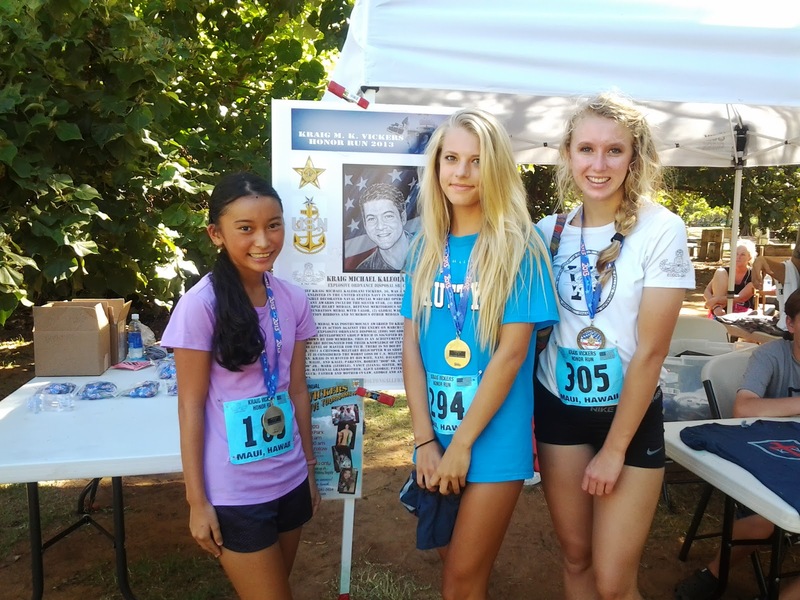 Pre-season has been going on for a few weeks now for the girls high school cross country team, and a good number of girls showed up for the Kraig Vickers Honor Run, Sunday, August 4th. The Maui Interscholastic League (M.I.L.) has a solid two month season which is officially in full swing next week when school starts. My partner Matt Holton is the assistant coach and I am also coaching this season for the girls team. Since I got to coach on a limited basis in the Spring during Track and Field at Seabury, I feel fortunate to be working with some of the same girls, and new rones in the cross country setting. I have a lot to contribute and more to learn, and can commit more days a week to working with the girls team. It's exciting. M.I.L. CROSS COUNTRY MEETS 8a.m. Boys first, girls to follow. Sat. 10/5 Seabury Invitational 4p.m. Fri. 10/25 H.H.S.A.A. Championships 9a.m. T.B.A. Check out my post on mauirunner.com here about high school and youth XC. Overall Winners Kraig Vickers Seabury assistant coach Matt Holton, and Senior, Dakota Grossman (both in white tops). Another big thing going on was The Kraig Vickers Honor Run. 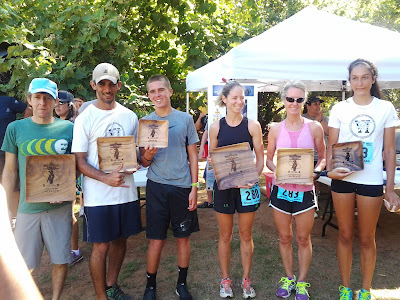 Maui Runner had a big part in the race by; marking the course, social media, and creating media to post at the event. We used Google Hangout to promote the race and collect photos and comments from people in real time at the event. The race was won by Allister Knox, Matt got second, and a high school junior Caleb Pottorff took third in the 5K. On the girls side a tourist from Canada, Seanna Robinson claimed first with Andrea Wright in second followed by Seabury senior Dakota Grossman. This is a fun run, and is treated as a work out, and is a way for the team to represent in the community, in addition it helps the girls to prepare for the cross country season. Next up for road races is the Beat the Heat 8K and 1K Saturday, August 17th at Keokea Park, Upcountry. Youth cross country holds their first races starting Saturday, August 31st at Seabury Hall 8am. Matt is now embarking on cross country with the youth athlete Jim Campbell (who just turned eleven; Happy Birthday Jim!) for the quick five week youth program offered on Maui. I am luck to assist Matt with this special boy. Jim will participate in the second age division including third through fifth grade youth, running a mile. The age group before his, K-3, runs a half mile; with middle schoolers 6th-8th running a mile and a half. 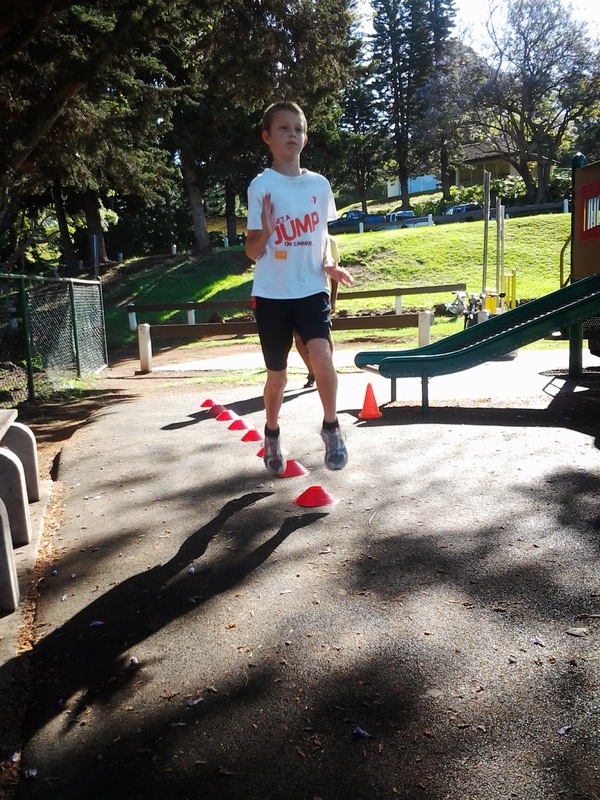 It is great to start to develop technical running skills early to build a strong, fast, smart and thoughtful racer. Matt coaching Jim provides an opportunity for me to learn more and more techniques with teaching drills, and adjusting workout for young runners. It is fun to check out the private coaching scene again with Matt. Back when we lived in Flagstaff, Arizona Matt coached high school, and a small group of adult runners. It's great to be coaching together. It is a rich learning environment. YOUTH CROSS COUNTRY MEETS 8a.m. Right now the World Championships are going on in Moscow. This ties together all of the running going on in our lives. We have been watching for the last two days starting around 7:30 pm through until around 11 or 12 midnight. The action starts up again around 3 a.m.; although I have not caught it that early. Matt caught the womens marathon, and the men's 10,000 won in a neck to neck finish) by Mo Farah. Today I got saw the women's 10,000 meters with Matt and Jen Tom. Truiniesh Dibaba won with command; the Baby Face Destroyer has never lost at the distance, and is a force to deal with. Great inspiration for the bike riding around Keokea afterwards. Click here for the timetable from the IAAF for the complete 9 day schedule. Seven glorious days of track and field left. There are lots of links out there to see all the action. For all things running go to letsrun.com. School started last week for both Kamehameha Elementary School and Kula Elementary School. I am eagerly anticipating ample substitute opportunities for the '13-'14 school year. So far it has been a very smooth transition into all my new positions in teaching and coaching this year, and I look forward to all the experience I will gain.